Good Wednesday to all our precious family & friends! How y’all doing this morning? Me, don’t ask, I have to go to the doctor today for my 3 month check-up. It is just to make sure all the nuts and bolts are still in one place. Or as they say around here, “to see if I have any screws loose,” suppose to be a joke, yet I haven’t found the humor in it. Due to my going to the doctor, we won’t be on the internet today.. Still haven’t figured it out, they all have to pile in the car with me to go to the doctor. It is like they don’t trust me to actually go to the doctor. It is hilarious watching us all pile out of my little Sonic, it looks like a clown car when everyone starts climbing out. That was the first thing I wanted to tell you, didn’t want you to think we had skipped the state for a warmer climate(with the cold front coming in, that really wouldn’t be a bad idea, lol!). I wanted to remind you about our “Federal Government Employee Relief Fund.” Lady Beltane called last evening and told me we had received our first donation. She didn’t mention who it was from but I want you to know we appreciate it. That donation is a start but we still need more if we are going to have any effect in our effort to help these government employees. I just got through watching the News and there is still no end in sight for the government shut down. People are starting to feel the crunch of this shut down. I know locally we have a yearly Christmas in the Park deal and it raises money and can goods for the local food pantries. The food collected from that drive was delivered yesterday to our local food banks, which was a saving grace. Unfortunately, not all areas in our country have these food banks. That is why this program we have started is so important. Your donations will not only help with food, but it will also help with paying electrical bills, water bills and any other need that might arise during this crisis. Crisis, that is a hard word to use. To think of the country I grew up in and now what it has become, it is disgraceful. What bothers me the most, this is only the start of it. What if there can be no compromise? This shut down drags on for months and months, I can’t even to begin to imagine these families’ horrors and fears. I know I have been in a pickle but there has always been a bright spot at the end of the tunnel. These people don’t have that, they are basically stuck in limbo. That is why our organization, your organization is so important right now. We have to help our fellow brothers & sisters caught in the middle of this crisis. If you are a landlord, put off their rent to they go back to work. If you have some pull at your local utility company, try to work something out so their power or water won’t be turned off, for the others of us who can’t do that, write a letter to the President or Congress. We have supplied you with all the information you need to contact them. Write them today. Tell them what you are seeing and how the American people are being effected by this shut down. We have to act to help these government workers and I can’t emphasis that too much. Oh, you probably noticed our little banner at the top. It is just a rough draft. I was playing around and seeing what I could come up with. I will have the html code at the end of this for you if you would like to put it on your site, Facebook page, Twitter, Tumbler or wherever, just help us get the word out. I use to know some people at Yahoo News and they did occasionally cover me and some of my rants I went off on. I am going to see if I can’t get a hold of them and get some publicity for our organization and what it is trying to do right now. I was going to wait till I had the website built for Pagans for Political Action but the need is now and frankly, I have overloaded my little rump. 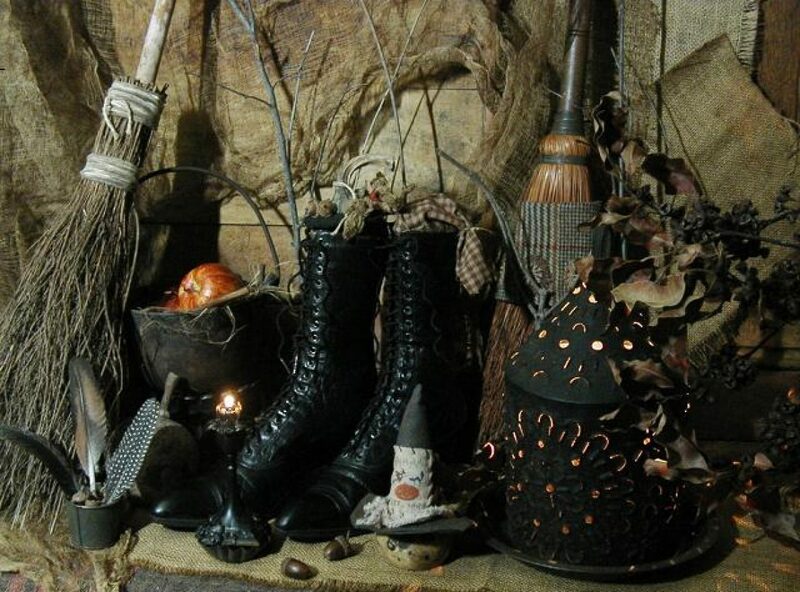 Which leads to the next thing, I want to talk to you about…..
You have heard Lady Beltane talking about the newsletter coming out for the next Sabbat in the Northern and Southern Hemisphere. Well I sort volunteered myself to do the Northern Hemisphere, I need help. We are running short handed here. The ones that are here are busy making phone calls and writing letters for our relief effort. Due to that and building a new website, I have spread myself to thin. Lady Beltane was wanting some articles, recipes, poems and anything else I could think of about the North Hemisphere’s next Sabbat which is Imbolc. I would definitely appreciate it, if some of you would save my rump. If you would like to write an article about Imbolc, a ritual, a spell, a poem or a recipe, then please do so. I always manage to stretch myself to thin. I definitely need your help in this though. We want the newsletter to be a success and you can make that happen also. If you have a group, write an article or submit a ritual, then you will get credit along with your site. 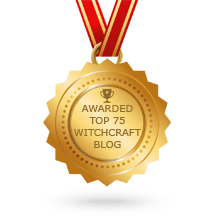 Hey, basically free advertisement for your site, can’t beat that and beside you will have one grateful witch here. So please, please submit some articles or whatever you would like to use for the newsletter coming up. Could make this a friendly competition (I love competition). Coven Life’s members are contributing to the newsletter, why not The WOTC? Let’s say which ever group contributes the most gets a huge discount in Magickal Necessities or I could buy you all a steak dinner but then again I would have to rob a bank to do so, lol! But please help me out, send in some articles about Imbolc. I would definitely appreciate it. I think that fairly well covers everything right now. I am going to put the html codes at the bottom for the donate button and the banner at the top. Remember the banner is just a rough draft right now, still have a few tweaks to make to it. The reason I am releasing the rough draft is because we have to get the word out about our organization and it has to be sooner than later. It is going to get to the point that families are going to have to rely on organizations like ours just to feed their children or keep the power on so those children will stay warm and won’t freeze to death this Winter. Please grab the banner and the PayPal button and put it on your site, we would definitely appreciate it. Unfortunately, I don’t see the shut down ending anytime soon. The images that have been sent to me about what is to come are horrible. That is one of the main reasons we are pushing this so hard. I don’t want to see our great country reduced to a third world power. I don’t want to see families being evicted from their homes and most of all I don’t want to see children going to bed hungry. The images I am seeing if this shut down continues for months are…. people fighting in the streets, shop windows being broke out and robbed of food, burning buildings and much, much more. I can tell you it hasn’t been easy for me to sleep for the last few nights with these images floating around in my head. The government can prevent this from happening but they won’t. That is what they want to do, divide this country even more. It would tickle them to death, if there was fightings in the street and it is horrible to say but it would probably delight them to see families going hungry and losing their homes. They don’t care about us, they have already proved that. They won’t take action, we have too. If they won’t help the American people during this crisis and prevent all the horrors I have seen to come from happening, then we have too. Remember, write those letters, even write the President today. If you have an extra nickel or dime, remember our organization and what we are trying to do. Now I have got to hush and run back home, take a bath and get ready to go to the doctor. Just think over what I have said and decide for yourself what needs to be done. If you want to see fighting in our streets, blood shed, groceries being robbed just to get food, home invasions, the crime rate go up, then do nothing. If you want to keep this from happening and want to help these government workers, our brothers & sisters, during this crisis, then donate. *Also feel like writing a piece about Imbolc, do so. I would definitely appreciate the help. Now for the html codes. The PayPal donate button. Oh by the way this button works in case you would like to make a donation at this this time.